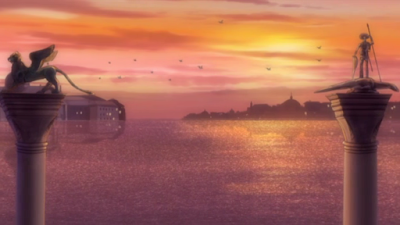 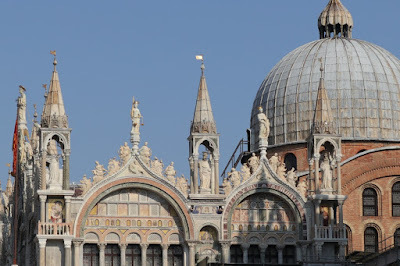 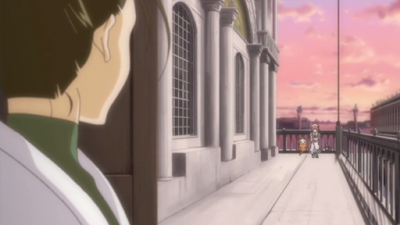 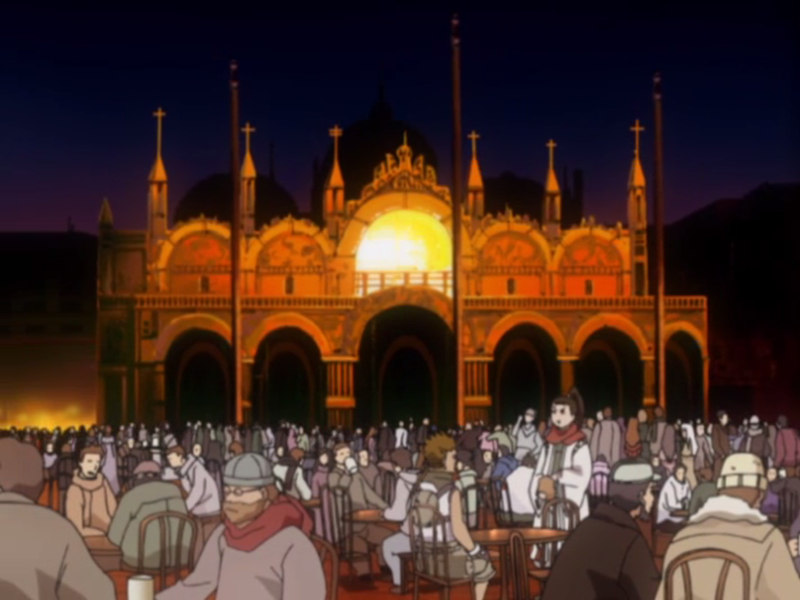 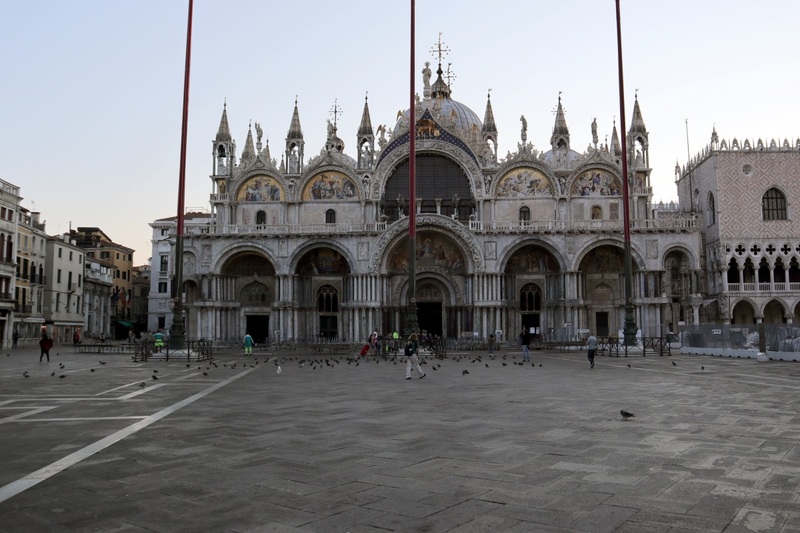 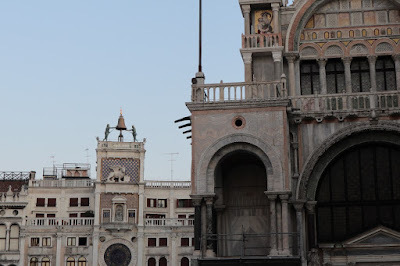 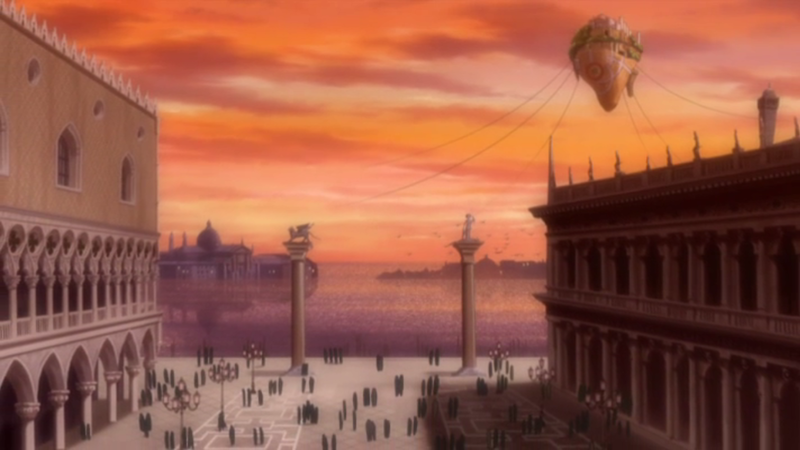 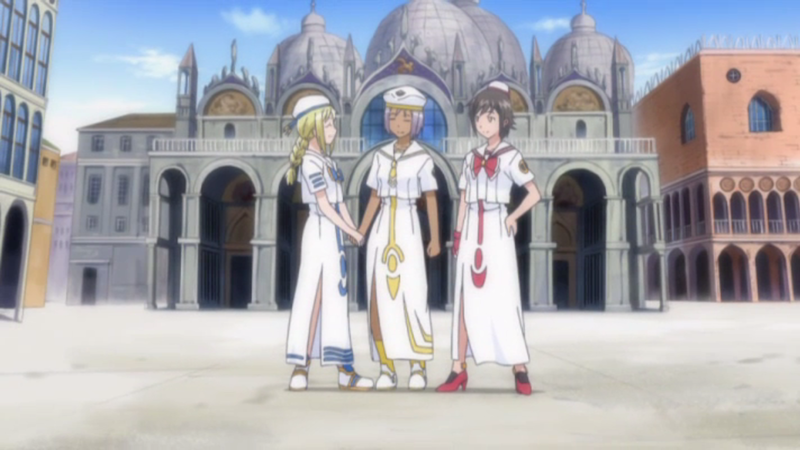 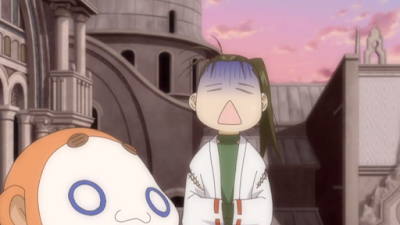 The Saint Mark's Basilica at Saint Mark's Square is of course shown a lot in Aria. 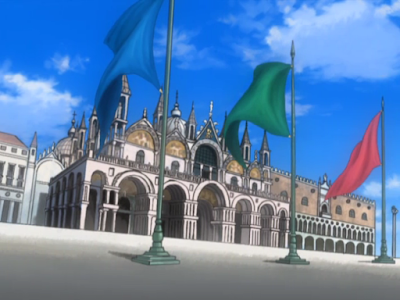 The front of the basilica is shown in all 3 seasons. 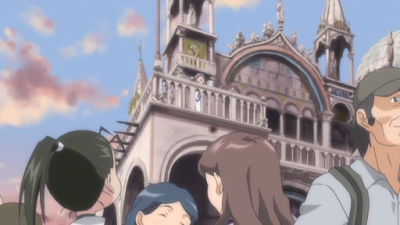 The basilica is behind Alicia and Akira here. Akatsuki spots Akari up on the basilica terrace. 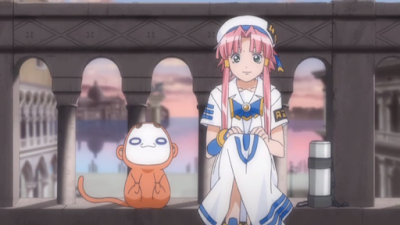 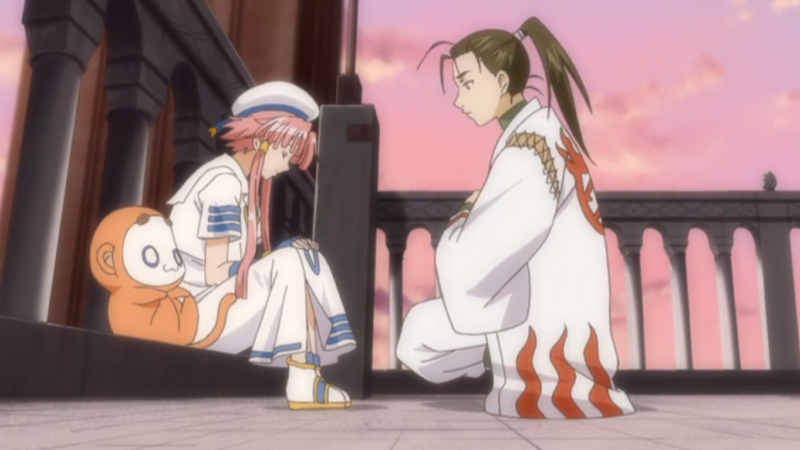 Akari and president Aria sitting down at the terrace. 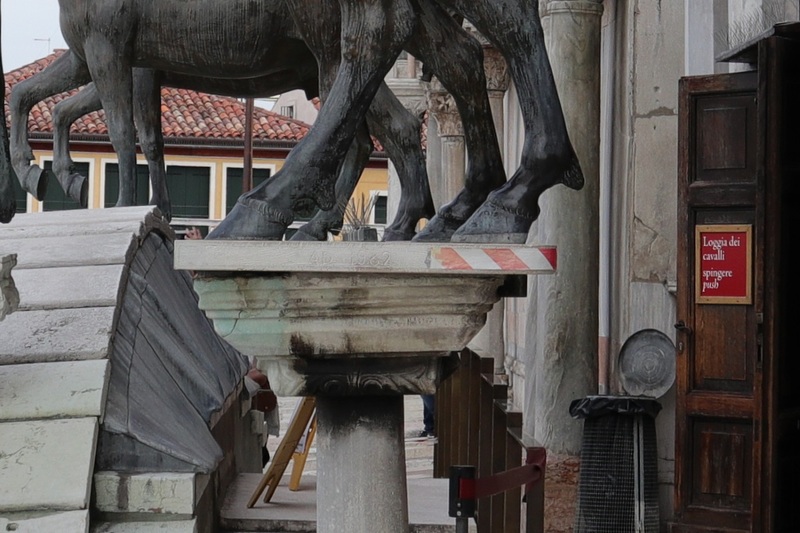 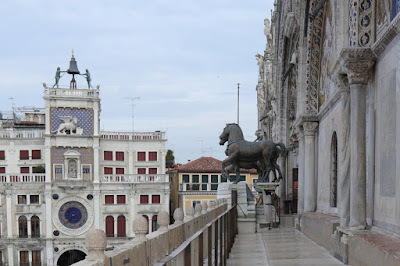 The Horses of Saint Mark. 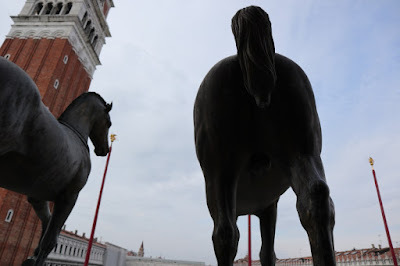 These are replicas that stand outside. The real ones are inside in the basilica museum, but there's no pictures allowed inside either the museum or the basilica. 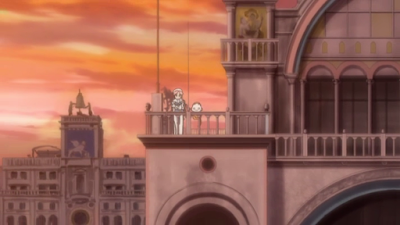 Akatsuki sees that Akari has fallen asleep at the end of the balcony. 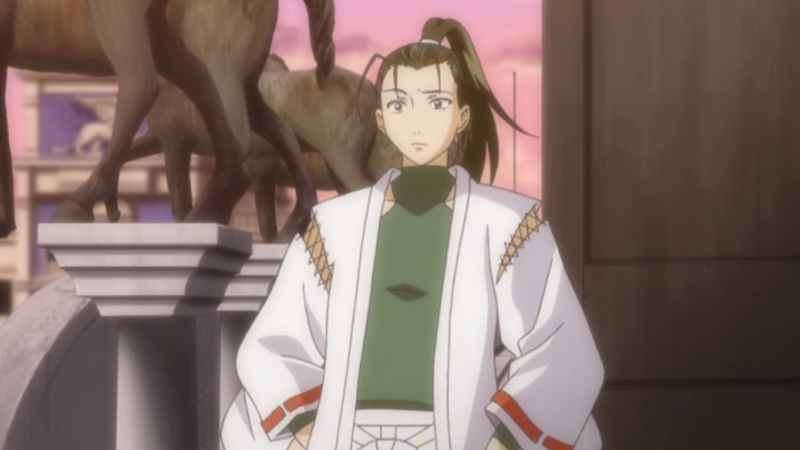 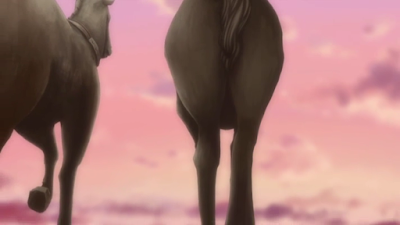 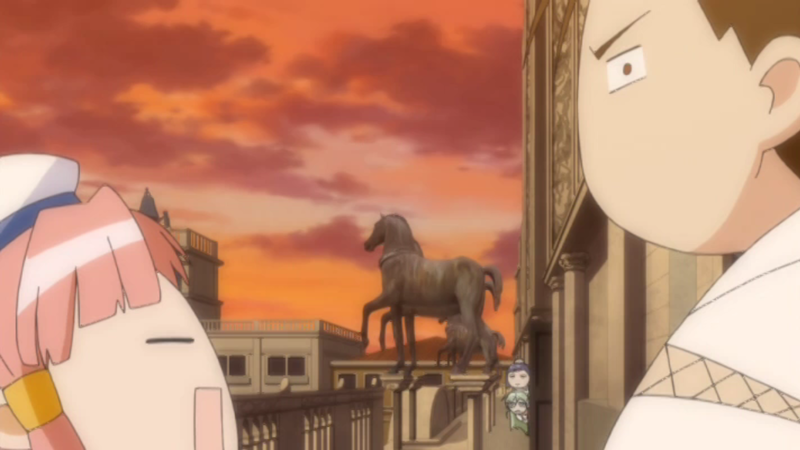 There's 4 horse statues in total. 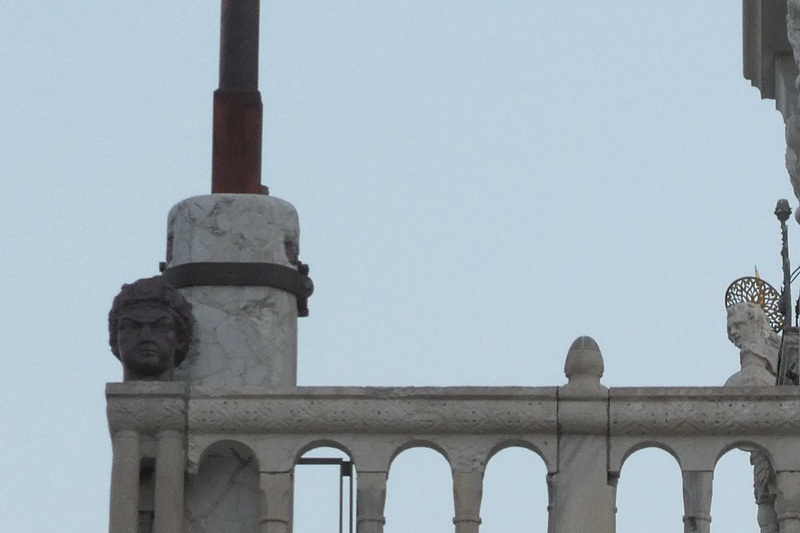 Closeup of the end of the terrace. 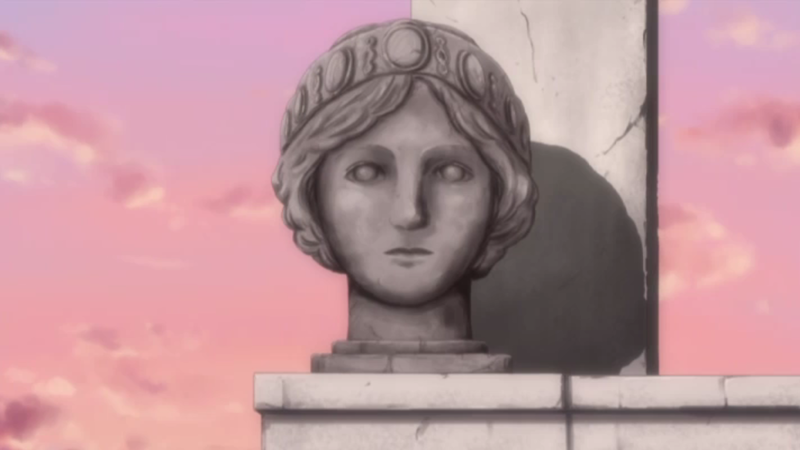 Akari shows Akatsuki this statue. 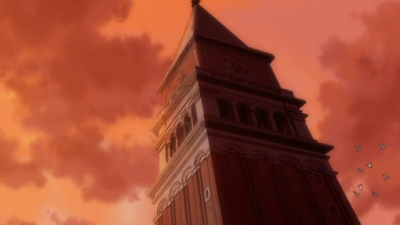 It looks quite different in real life. 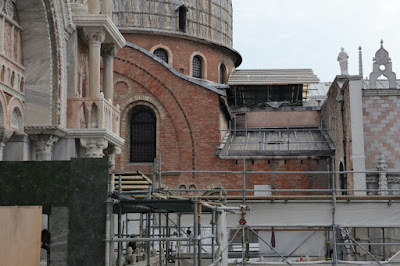 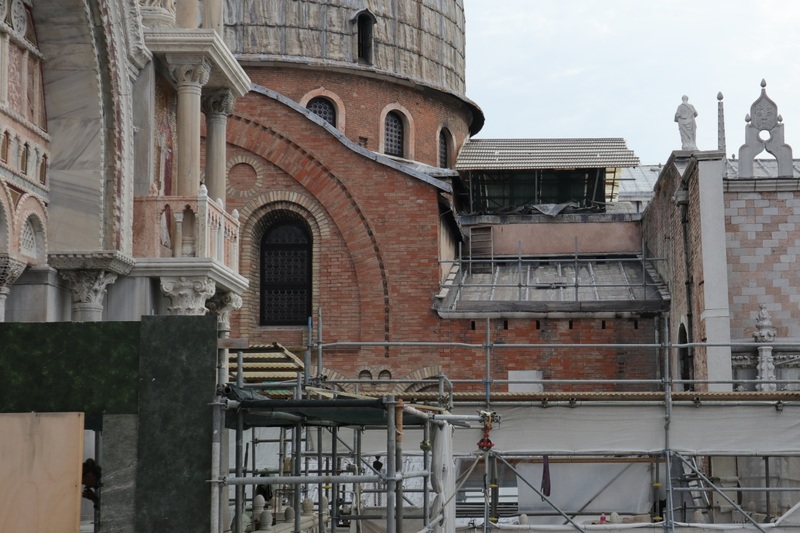 They were doing some renovations on this part of the basilica when I visited. 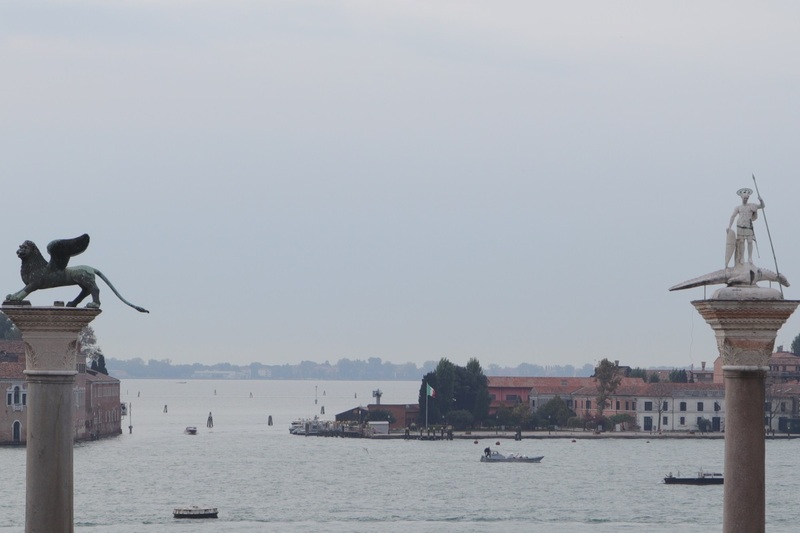 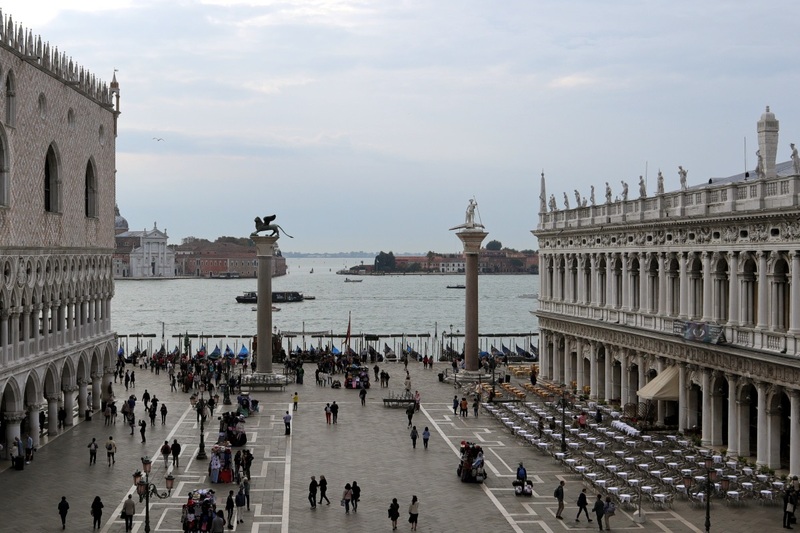 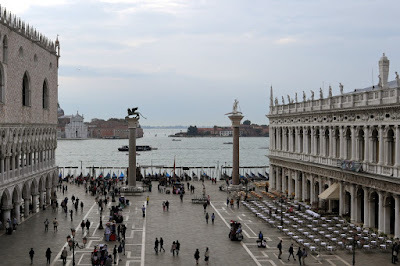 View towards Saint Mark's Basin from the terrace. 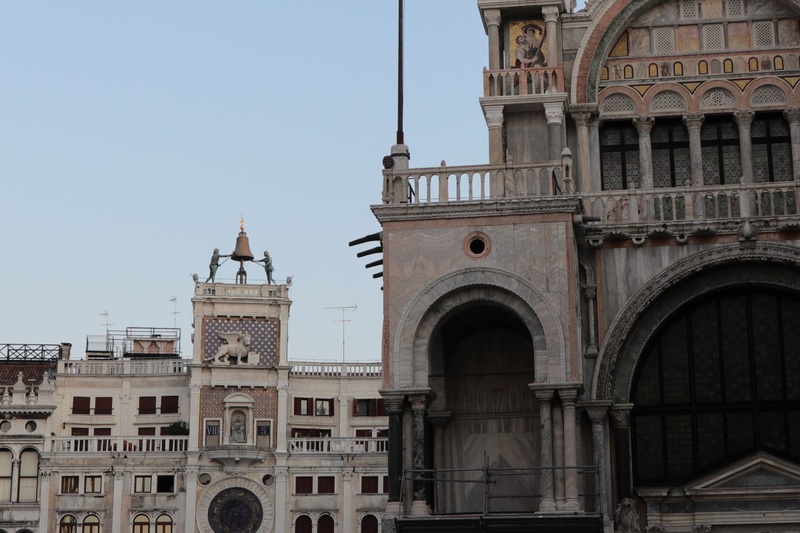 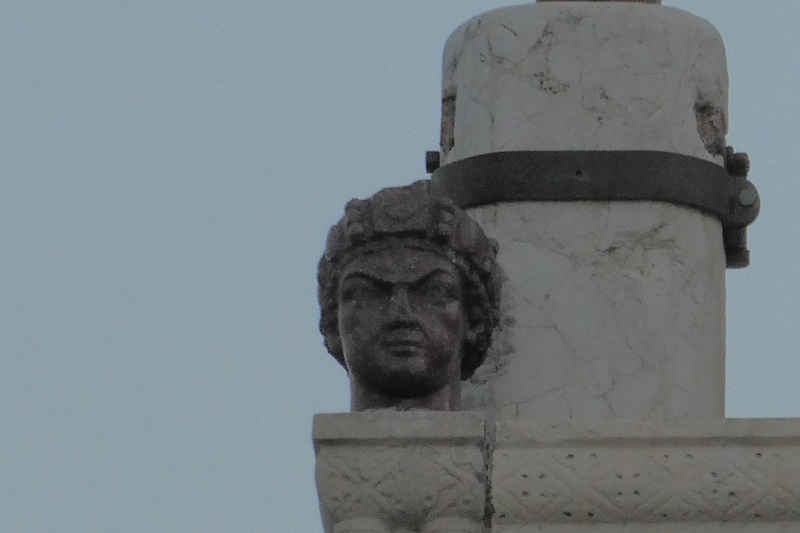 Closeup of the two columns with the statues of the Lion of Venice and Saint Theodore. 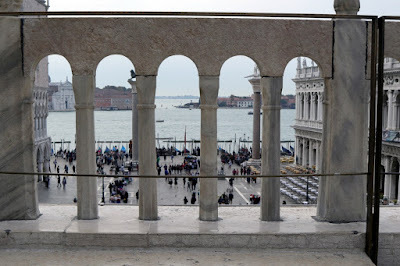 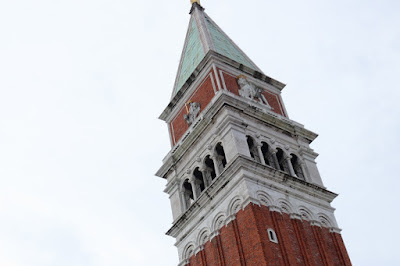 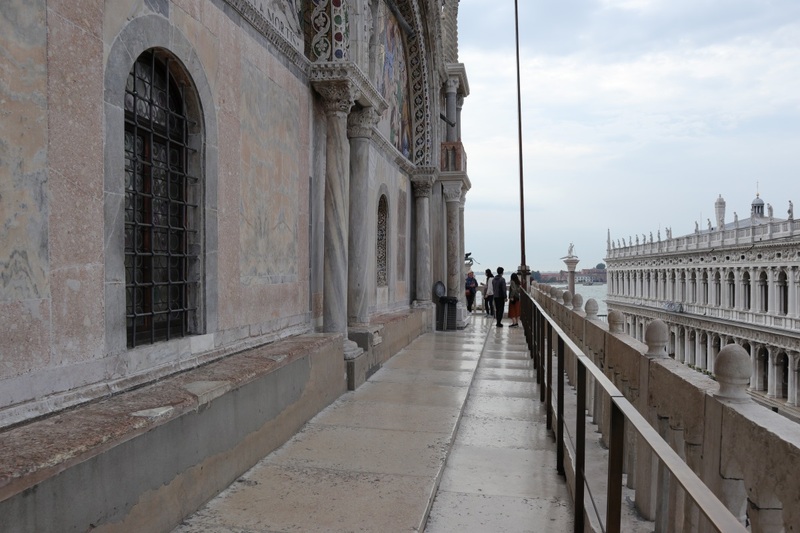 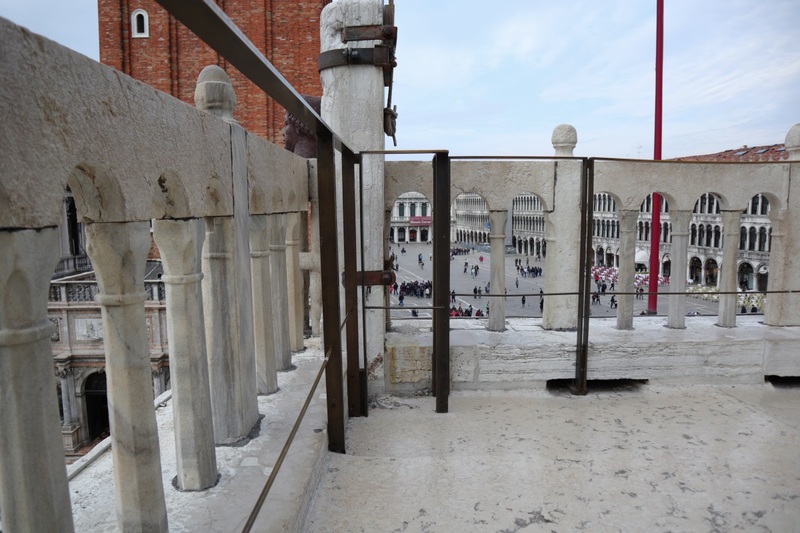 View of Saint Mark's Campanile from the terrace. 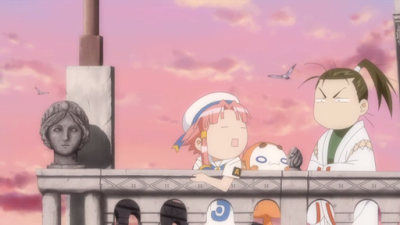 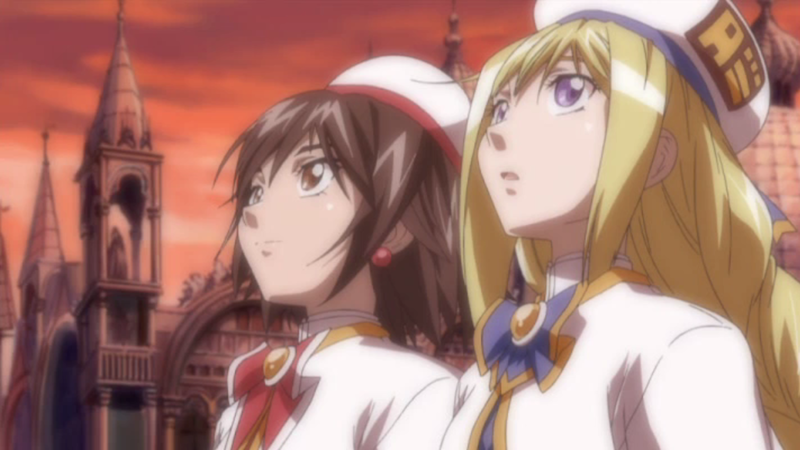 Aika and Alice has been spying on Akari and Akatsuki. 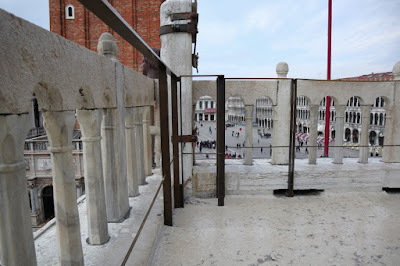 Another view of the terrace from the ground. 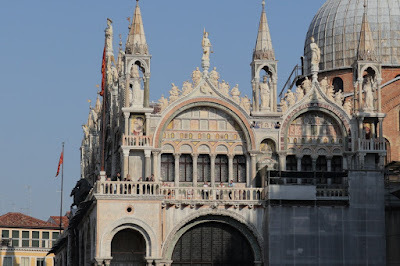 This location was visited on 2018/10/14 and 2018/10/16.